Pregabalin or Lyrica® is currently FDA approved for partial onset seizures, neuropathic pain from post-herpetic neuralgia and diabetic neuropathic pain, as well as fibromyalgia. Lyrica works by binding to the subunit of a voltage-gated calcium channel in the brain and spinal cord. This reduces flow of calcium into the axon during depolarization (firing) of the neuron thereby reducing neurotransmitter release from that neuron. The medication is widely used to treat all kinds of neuropathic pain. Its treatment response rate for diabetic neuropathic pain is similar to that of duloxetine, the only other medication indicated for this. About 2/3rds of patients will have a reasonable response. The response rate in post-herpetic neuralgia indicates that this is a harder disease to treat. 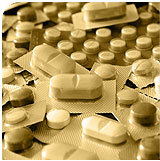 Lyrica does not interact with other medications, which makes it very easy to use. Its most common side effects are fatigue and swelling in the legs. Weight gain over time is commonly seen and is another problem with this medication. Lyrica is the first FDA approved medication for fibromyalgia. The study design was somewhat unusual and the percentage of patients who significantly approved was also somewhat low. In addition, a second study performed by the manufacturer indicated the pain relief tended to wear off for a large percentage of patients. Despite this, it is widely used for this indication as the patient’s perception of pain in fibromyalgia is very high and this drug is helpful.